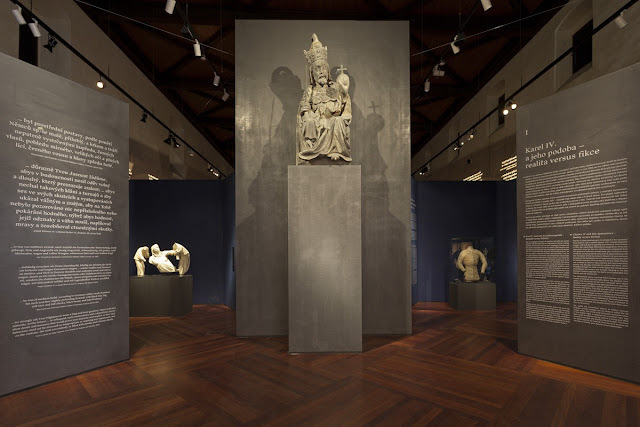 Ten years after the most recent major exhibition about Emperor Charles IV and the Luxembourg dyansty (shown in New York and Prague), the National Gallery in Prague and curator/director Jiři Fajt returned to the topic, and organized a major exhibition dedicated to the Emperor. 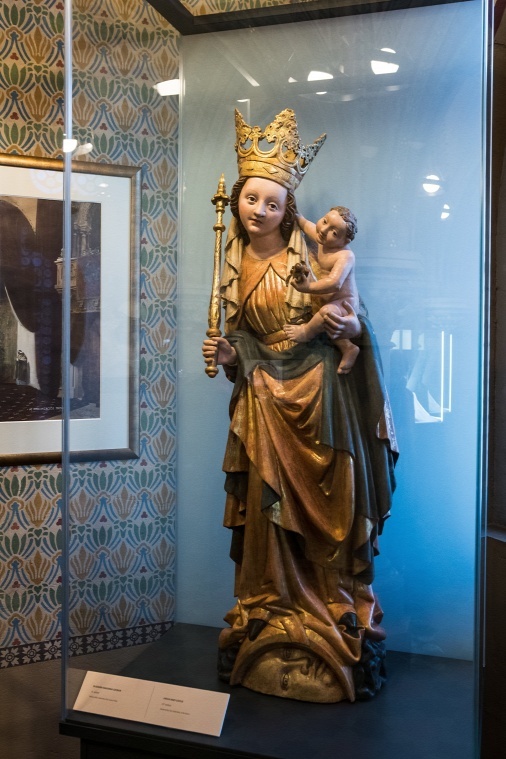 The occasion was the 700th anniversary of the birth of Charles IV, King of Bohemia and Holy Roman Emperor - hence the short logo-title of the exhibition: K700. The exhibition was jointly organized by the National Gallery in Prague and the House of of Bavarian History, and will be shown later this year in Nuremberg as well. I managed to catch it in Prague before it closed on September 25, 2016, at the Waldstein Riding School. "Charles IV is among the most frequently portrayed medieval monarchs. Not only was he a wise and pious ruler, but also a successful collector of royal crowns. 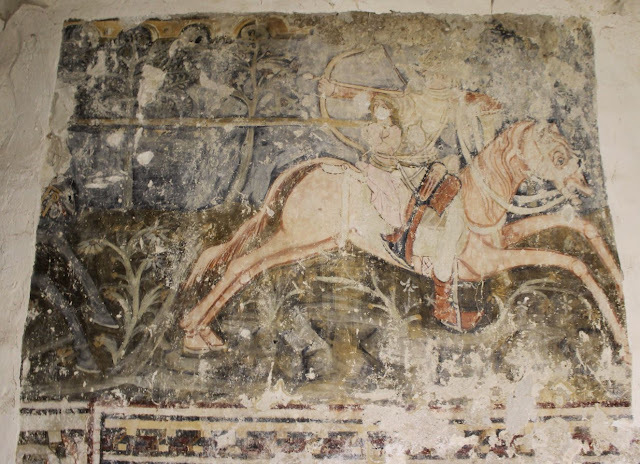 He liked to dress in the latest Paris fashion and participated in jousting tournaments. One of them was nearly fatal, permanently affecting his appearance as shown in his many portraits. 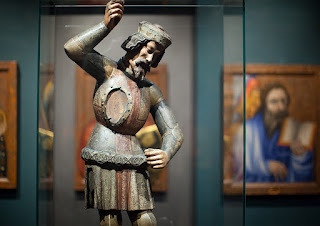 The first Czech-Bavarian Land Exhibition Emperor Charles IV 1316–2016, held at the Waldstein Riding School of the National Gallery in Prague, not only gets to the heart of the traditional Charles IV themes but also focuses on the less popularised ones. About 200 precious exhibits will present the emperor’s personality, a perspective on him by his adherents and opponents, art, and Jewish pogroms." 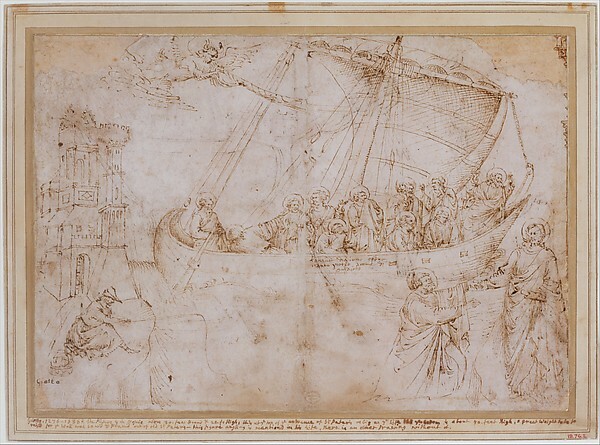 Along with other materials, this press release can be downloaded from the website of the National Gallery. What follows is not a proper review of the exhibition - I would merely like to summarize a few of my observations about the exhibition. 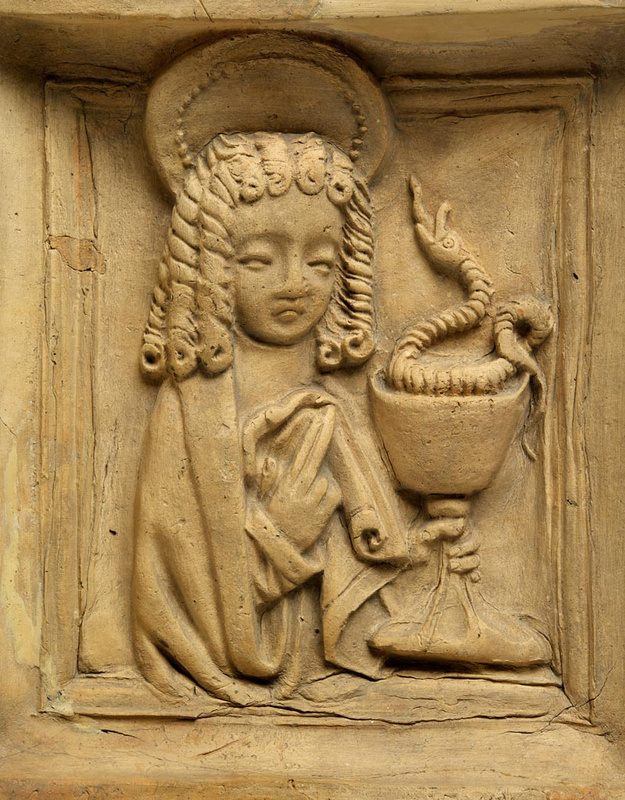 As the court of Charles IV was one of the most important artistic centers of 14th century Europe, it is no surprise that the exhibition was full of beautiful, even breathtaking works of art. 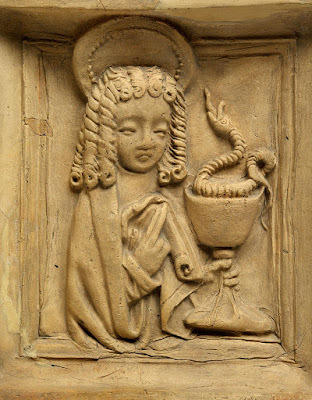 The highlights for me were some of the reliquaries commissioned by the Emperor, as well as the statues and paintings made for Prague or Karlstein castle. 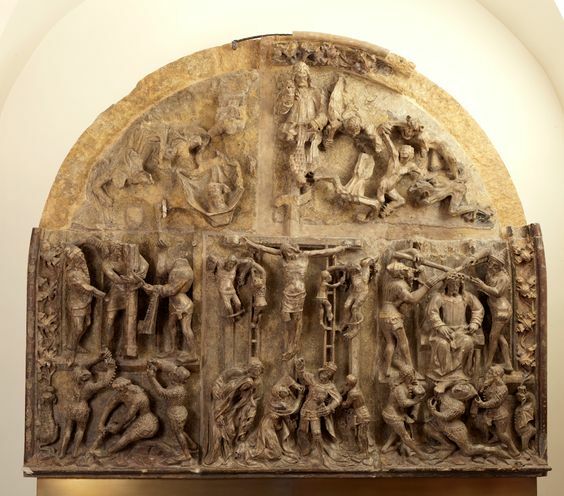 Some monumental works also made it into the exhibition hall, including the tympanum relief with Passion scenes from the north portal of Tyn Church (Prague). 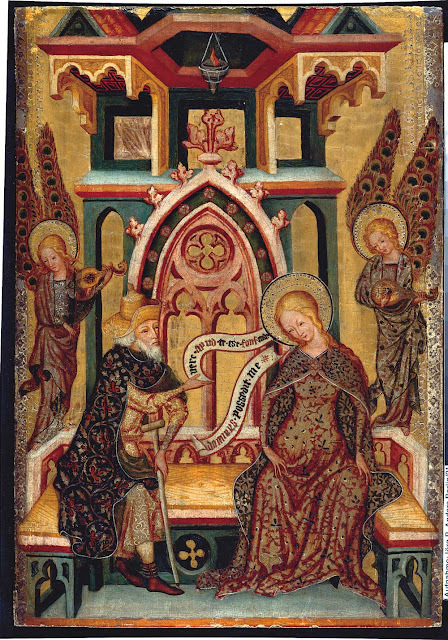 Given the partnership with Nuremberg, one of the richest section of the exhibition consisted of works stemming from Nuremberg, including the monumental Waldstromer’s window from the hospital church of St Martha in Nuremberg, which rose over 5 meters high in the exhibition space. 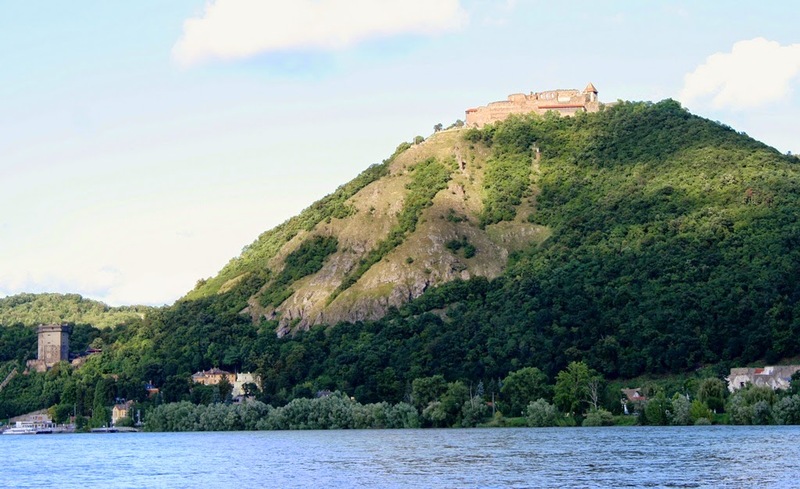 Further sections focused on other artistic centers in Bohemia, apart from Prague and Karlstein, as well as on artistic developments in the northern German areas of Brandenburg and neighboring territories. 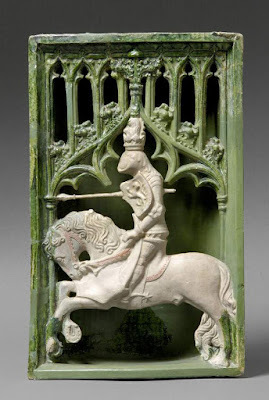 Special attention was given to the French upbringing of Charles, and the influence of Parisian court art at his court - high-quality loan objects illustrated the types of objects likely available in Prague, and one of the last sections focuses on the final journey of Charles to Paris in 1378. A special section was dedicated to the contemporaries and opponents of Charles IV - however, I felt that rather little attention was given to his Central European neighbors in Vienna, Cracow or Buda. 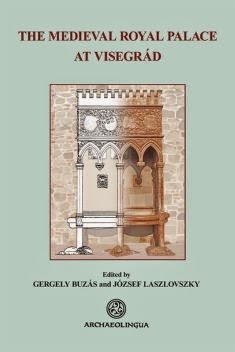 I would like to make a few small observations about objects with Hungarian connections. 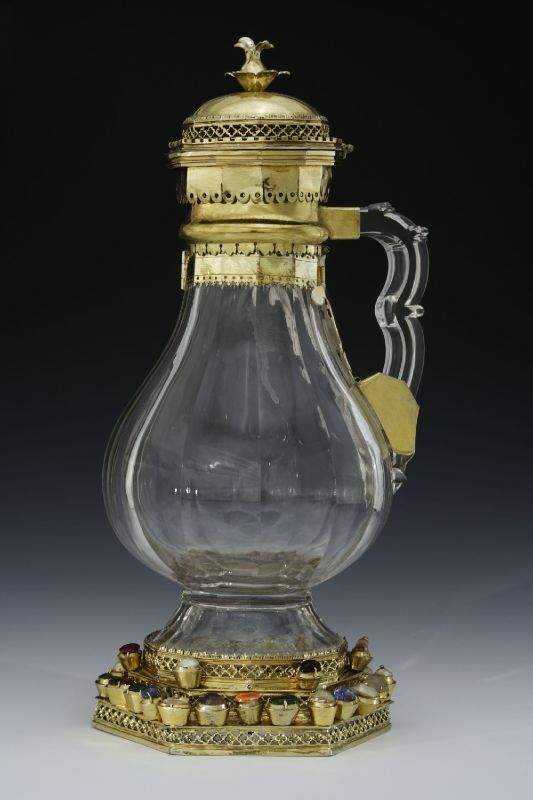 One of these was a centerpiece of the display of reliquaries: a rock crystal ewer once holding the tablecloth used for the Last Supper. 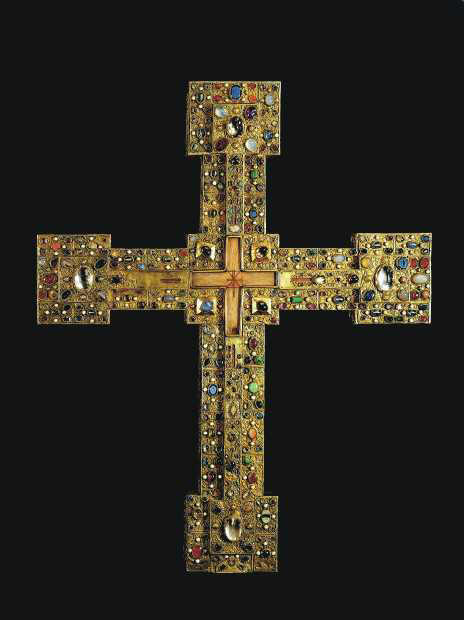 The relic was a gift of Hungarian King Louis the Great before 1350. 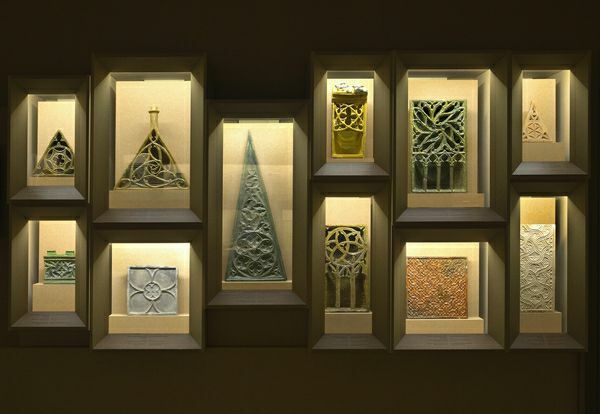 Some high-quality goldsmith works commissioned by Louis the Great are also on view: a mantle clasp and escutcheons with the coat of arms of Hungary, coming from the Hungarian chapel by Aachen Cathedral. 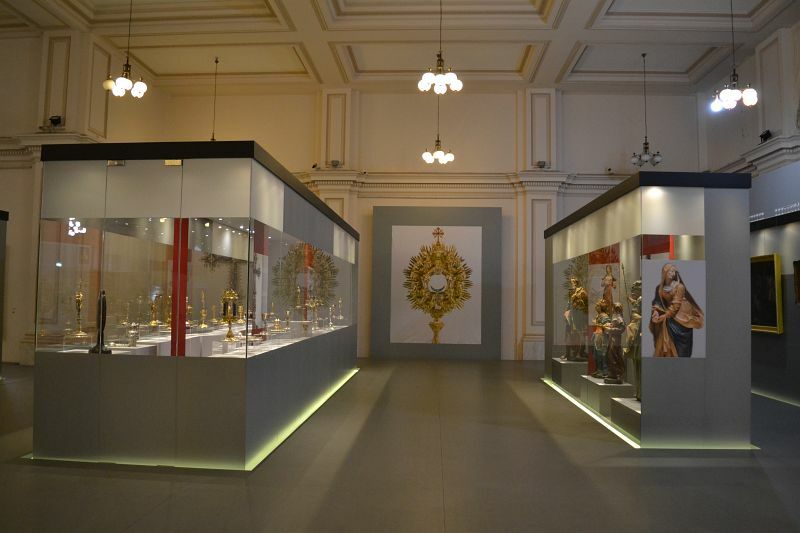 The chapel was established in 1367, and these objects are part of a larger group donated by the ruler. 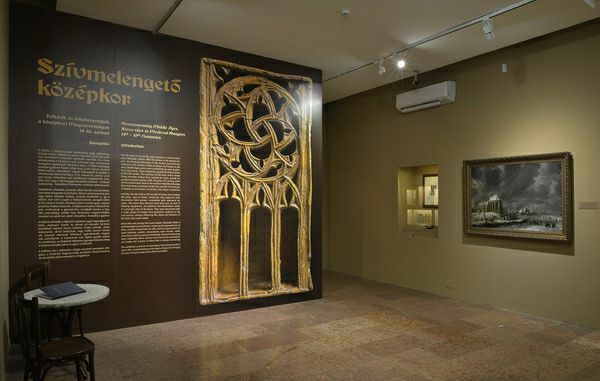 Contrary to the label in the exhibition, Hungarian art historians have long disproved the identification of their makers as the brothers Martin and George of Klausenburg (Kolozsvár/Cluj). Next to these objects the wonderful Fonthill vase was on view (from the National Museum of Ireland) - which is the first documented Chinese porcelain object in Europe. Unfortunately, it has no connection either to Charles IV or the Hungarian Angevin Court - it has long been demonstrated that the object was mounted in the Neapolitan Angevin court (as I summarized it here in this blog a few years ago). These are minor points. 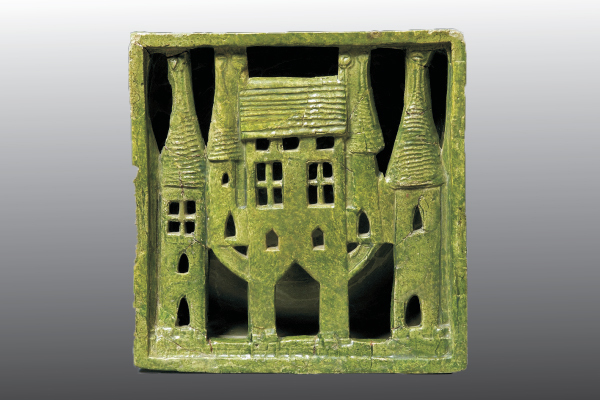 Another issue is a bit more significant - unfortunately, the catalogue of the exhibition has not yet been published. As far as I know, the catalogue is in preparation, and will be published for the second, Nuremberg venue of the exhibition. 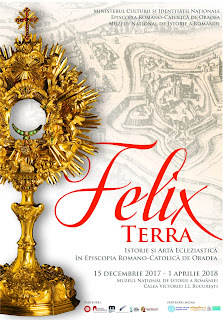 So far only a guide to the exhibition is available (In English, German and Czech editions), which includes the text of the exhibition labels and illustrations (Emperor Charles IV 1316-2016, Exhibition guide. Jiří Fajt, in cooperation with Helena Dáňová. Prague, 2016, 188 pp.). The exhibition, however, has its own website, and an illustrated visual and audioguide is also available, as well as additional publications. 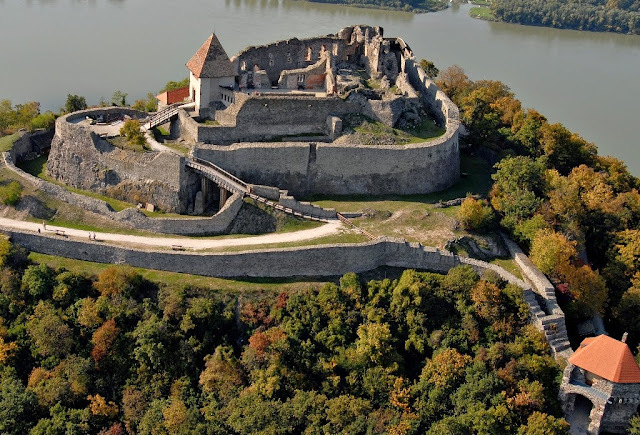 It should also be mentioned, that at the occasion of the 700th anniversary, a series of other exhibitions were organized in Prague by the Prague Castle. 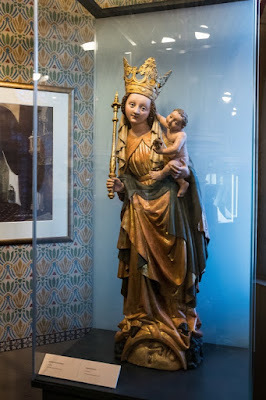 These include an exhibition dedicated to the Cathedral of St. Vitus, with life-size replicas of the famous triforium busts, as well as a display of the burial costumes of Bohemian rulers. Another exhibition focused on royal coronations in Bohemia. 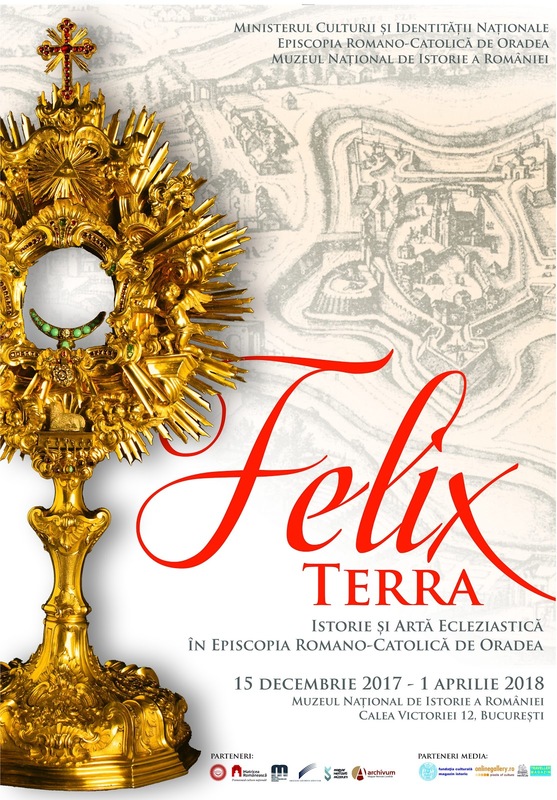 Information on these exhibitions is available on the website of Prague Castle. The main exhibition, now simply titled Charles IV., will be on wiew at the Germanisches Nationalmuseum Nürnberg from 20 October 2016 until 5 March 2017. See also the website of the Haus der Bayerischen Geschichte, one of the co-organizers. Photos in this blog post come from the websites associated with the exhibition, and linked to above. In addition, I have collected a number of objects included in the exhibition on Pinterest. Some images come with links to fully digitized manuscripts. I wanted to give an update about the situation with the excavation of the medieval church of Bonyhád. 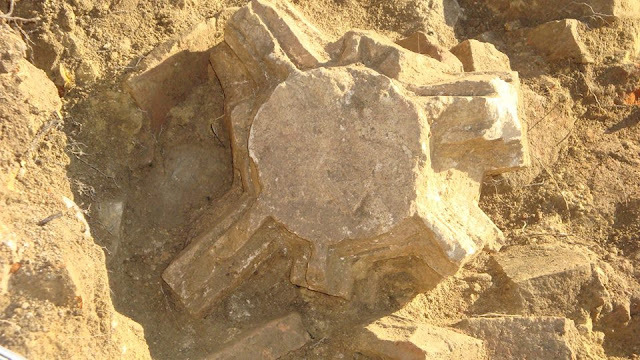 Unfortunately, the excavations could not be completed fully. Once the very short-term permit ran out, work on the excavations had to stop on October 7th. More than a month passed until the possibility of continuation was debated - a precious month with good weather, during which a lot of progress could have been made. Starting from mid-November, 2015, the excavated ruins of the medieval church were covered up and filled with concrete, so the new road could be built over them. 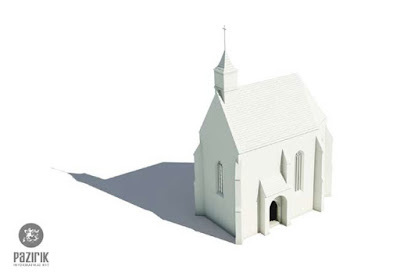 As a results of this, unfortunately a lot of the questions surrounding the church could not be answered. I talked to the chief archaeologist, Géza Szabó, and he provided some information about the church. 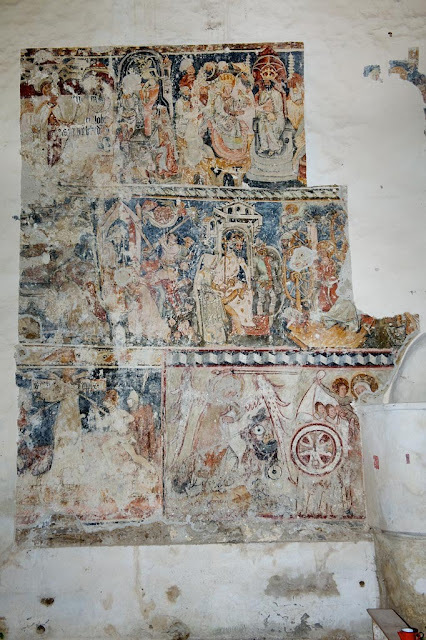 He explained to me that it is plain to see - even without a full excavation going down to sufficient depth, that the church had at least two phases of construction. The earlier phase can be dated to the period of King Sigismund, and is probably connected to the men found buried in front of the main altar. He was a strong, well-to-do man. 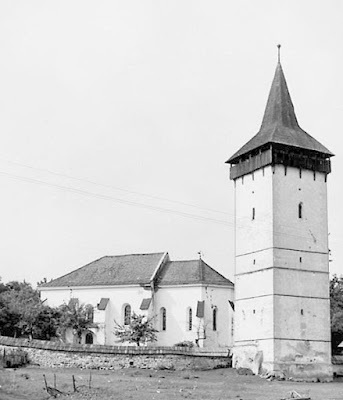 Although no tombstone was found, a coin from the rule of Wladislas I. dates the burial to this period (1440-1444), and places the construction of the church to the Sigismund period. 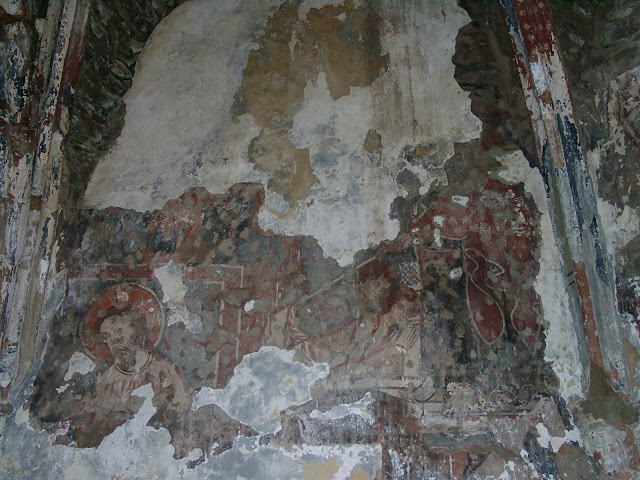 The church was later rebuilt, most likely in the early 16th century - this is the date of the late gothic net vault, the fragments of which were found during the excavations. Unfortunately, earlier phases of construction could not be adequately explored, and the area of the church also could not be excavated. 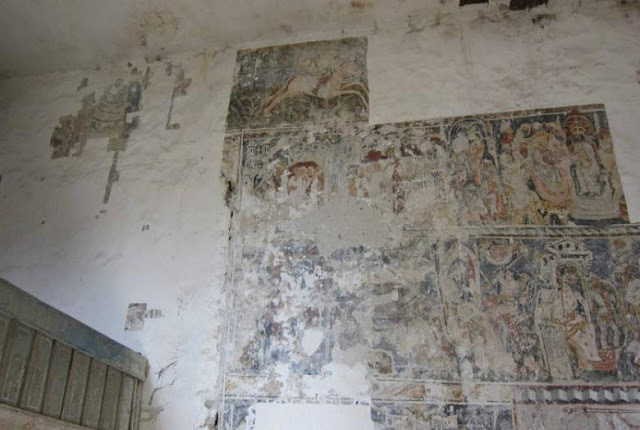 Because of the very short period available for archaeological excavation, and the impossibility of examining the site in the future, documentation was of paramount importance. 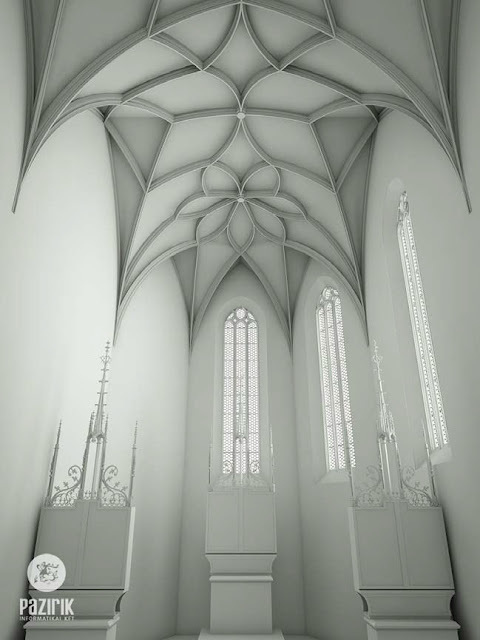 In the following, I would like to illustrate some of the techniques used during the work carried out. The site itself was documented in a 3D photogrammetric survey, recording all details by Interspect Research Group. 3D modelling company Pazirik also scanned the site, and carried out 3D scanning of the architectural fragments, which then served as the basis of a theoretical 3D reconstruction of the early 16th century phase of the building. Based on a keystone and several vault fragments, the intricate late Gothic net vault of the church was also reconstructed. 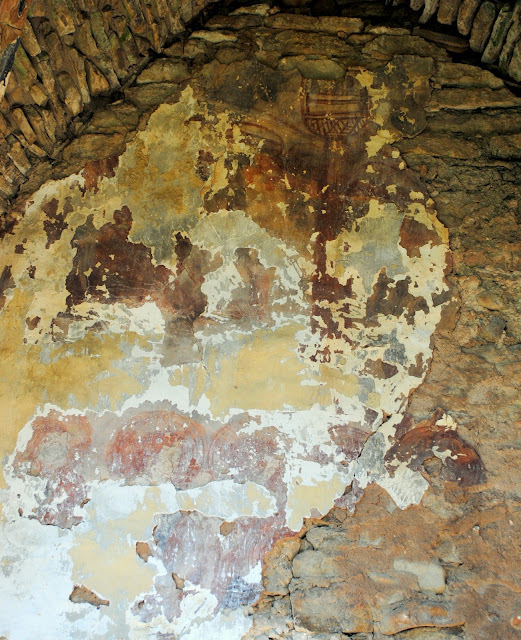 These reconstructions, and initial results of research were published by Archeologia.hu. 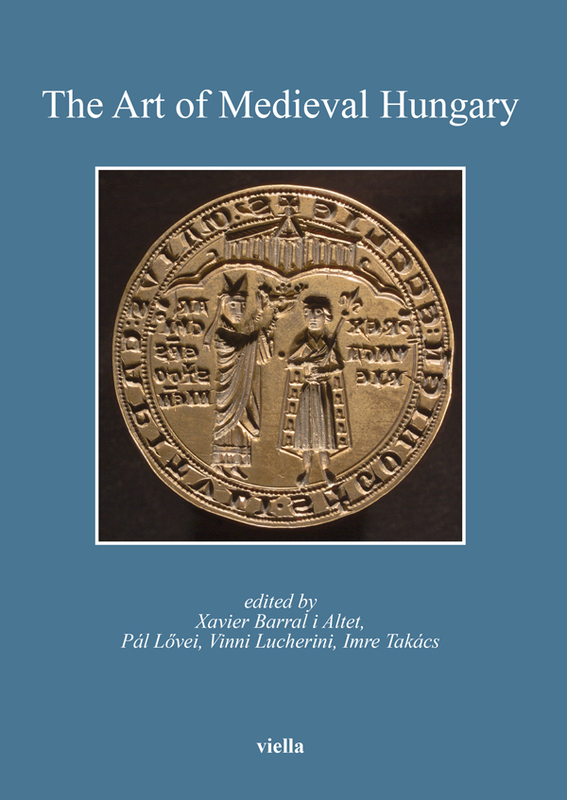 The articles published in this collection not only make preliminary results and wonderful illustrations available, but also reveal that there are still several questions surrounding the remains - questions, which largely could have been answered via a thorough and complete archaeological excavation. 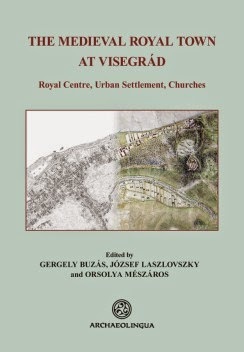 Current legislation in Hungary unfortunately makes it possible that the construction of a road could proceed, without the completion of this archaeological survey. 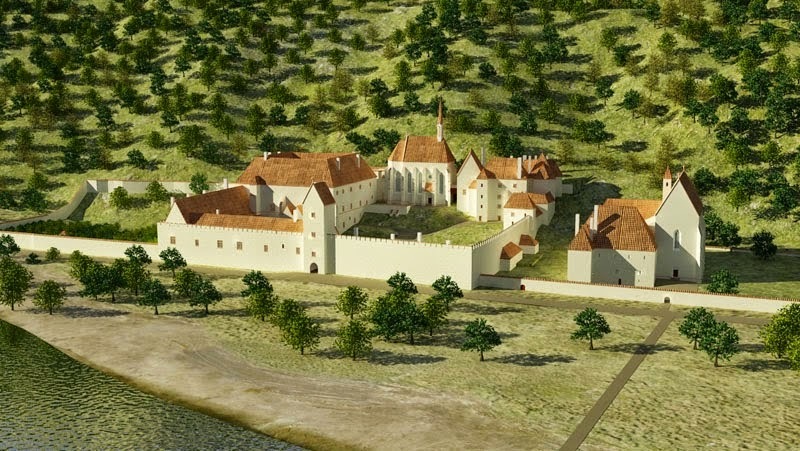 A középkori templom feltárása Bonyhádon - article (pdf, in Hungarian), Archeologia - Altum Castrum Online Magazin. 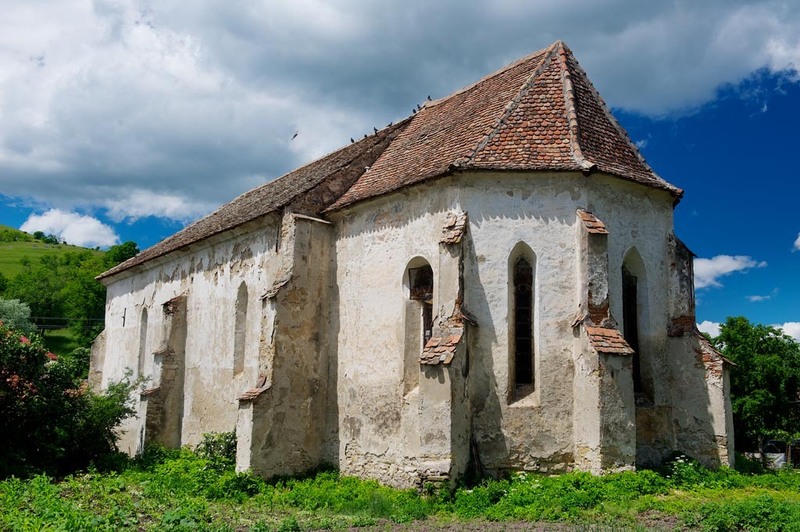 It is rare that the excavation of a simple medieval parish church makes national news in Hungary. 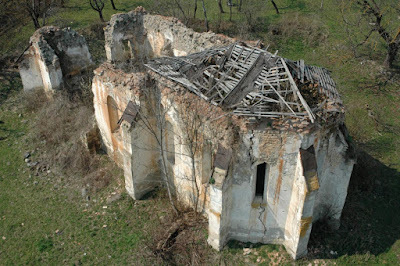 However, this is precisely what is happening these days with the remains of the medieval church of Bonyhád in southern Transdanubia: largely because there seems to be no time and no way to fully excavate and preserve the ruins. This is because of recent changes in Hungarian heritage laws, which favor construction and development instead of heritage protection. 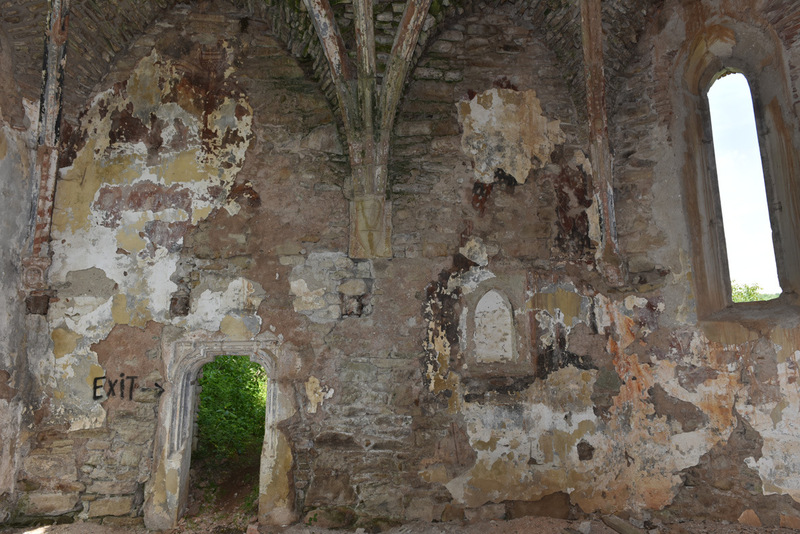 The remains of the church of Bonyhád were discovered during the construction of a new exit from route 6. Current legislation only gives 30 days for any archaeological investigations in such situations, with a possibility of further extension granted by the Ministry of Culture. This extension has to be given by the Minister himself within 8 days - if he does not grant it, construction can continue without delay. 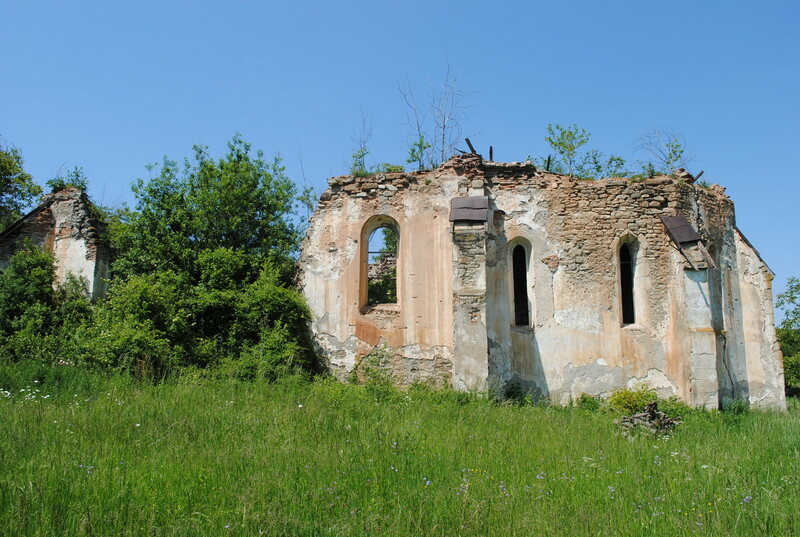 The remains of the church of Bonyhád were discovered in late September. 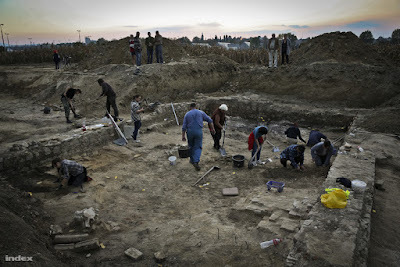 Thanks to the cooperation of a team of Hungarian archaeologists, the excavation was carried out during the last two weeks - but now work is coming to an end, as the construction of the road will commence on Wednesday. 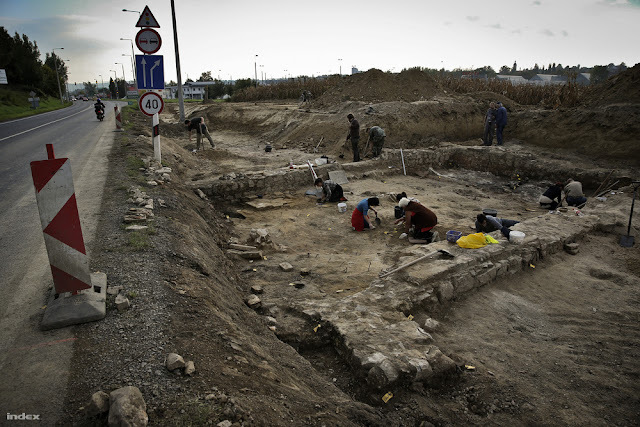 The excavation was one of the first times when the new heritage laws of Hungary were applied in a real-life scenario, and it became obvious that the regulations are not sufficient to protect archaeological heritage. 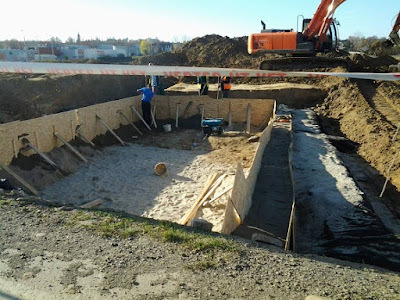 Despite protests from the Association of Hungarian Archaeologists and even a statement by the ombudsman, it seems that the site will have to covered over before the excavations can fully be completed, as construction will resume as early as next week. Maybe the ensuing debate and national attention will help lawmakers rethink the current regulations.